The team coordinates and promotes the development of scientific validation and intercomparison of operational oceanography systems. 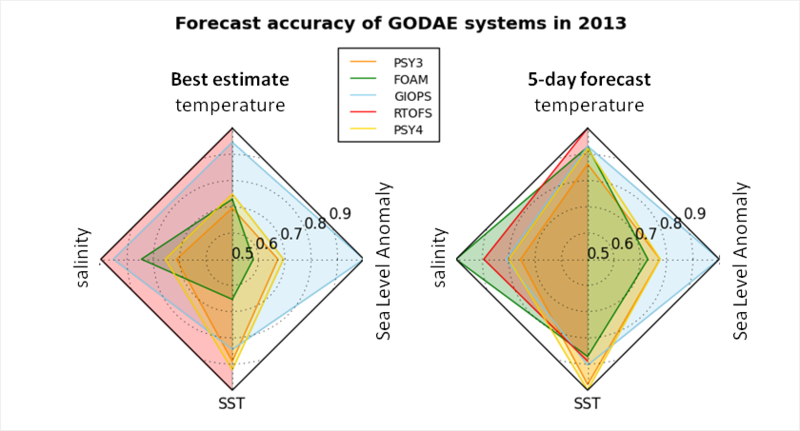 It pursues intercomparison activities developed during GODAE (Intercomparison working group) to quantitatively evaluate methodologies to judge the strengths and weaknesses of ocean analysis and forecasting systems. Activities include the definition of metrics to assess the quality of analyses and forecasts (e.g. forecast skills) both for physical and biogeochemical parameters and the setting up of specific global and regional intercomparison experiments. The team liaises with the JCOMM ET-OOFS team for operational implementation. It will develop cooperation with CLIVAR/GSOP for climate issues (see above).